Details of Bruce McArthur's life up until he was arrested have come slowly into focus, painting a picture of a man who maintained close ties with his family and was a fixture in Toronto's Gay Village. Before it was disabled following his arrest, the Facebook page of Bruce McArthur, who Toronto police now allege is a serial killer, was filled with recipe videos, cat pictures, and photos of his children and grandchildren. He shared anti-Trump content, liked images of tropical birds, and posted pictures of himself dressed for his part-time job as a mall Santa. Details of the 66-year-old's life up until the day he was arrested on Jan. 18, 2018, have come slowly into focus, painting a picture of a man who maintained close ties with his family, vacationed and socialized regularly. As of Monday, McArthur stands accused of the first-degree murder of five men: Andrew Kinsman, Selim Esen, Majeed Kayhan, Soroush Mahmudi and Dean Lisowick. After searching a property linked to McArthur at Mallory Crescent in midtown Toronto, police discovered dismembered skeletal remains in the bottom of large planters that belong to at least three yet-to-be identified people. 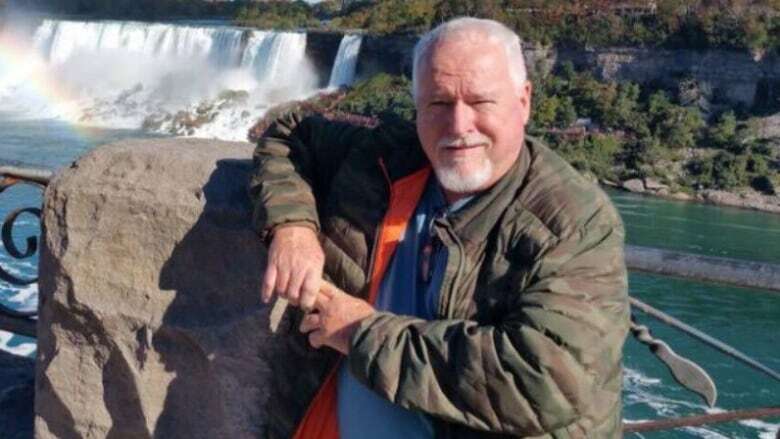 McArthur, whose full name is Thomas Donald Bruce McArthur, attended Fenelon Falls Secondary School in the Kawartha Lakes area. By 1986, a 35-year-old McArthur was married, with records showing that he and his wife Janice purchased a roomy brick home on a suburban street in Oshawa. The couple have a son and a daughter. McArthur seems to have encountered money problems in the late '90s, first mortgaging the Oshawa house in 1997 and then declaring bankruptcy in 1999. The house was sold in 2000, and records indicate that at that point, McArthur was still married. By 1999, McArthur was socializing with members of Toronto's gay community, according to a man who was friends with Skandaraj Navaratnam, a gay man who went missing in 2010. Kevin Nash says McArthur "came into the picture" of Navaratnam's life in 1999 and that the pair began a romantic relationship that lasted until at least 2008. McArthur, Nash said, struck him as "a jolly-looking man, pleasant, courteous but seemed straight-laced," adding later that when he first met him, McArthur "could pass as straight." On Halloween 2001, he attacked a man with a metal pipe in Toronto, and in 2003, was handed a two-year conditional sentence for the assault. His sentence required that he abstain from the consumption of amyl nitrate, also known as poppers, that he not be in the presence of male prostitutes, and that he stay away from a section of downtown Toronto that included the Gay Village. Court documents from the time of his sentencing in 2003 show him living in a high-rise apartment on Don Mills Road in Thorncliffe Park, a 10-minute drive away from the apartment on Thorncliffe Drive he was living in at the time of his arrest. Prior to his arrest two weeks ago, McArthur was self-employed as a landscaper under the company name "Artistic Design." His client list appears to have been long — on Monday, police revealed that they are in the process of investigating some 30 properties where he may have worked. Karen Fraser, the owner of the house on Mallory Crescent where human remains were found by police, told CBC that McArthur had an arrangement with her to store tools in her garage, a set-up organized by McArthur's sister. Fraser said McArthur worked with his son and would take care of the yard while she was away at her cottage during the summers. "He had wonderful clients and he was kind and generous to them," said Fraser on As It Happens, describing McArthur as a "cheerful, kind grandfather," who would make her laugh with stories about demanding clients. After joining Facebook in 2011, McArthur began cataloguing his evenings out, posting pictures of Halloween parties, birthday dinners and concerts. Younger men, who appear to be of Middle Eastern or South Asian descent, show up in several of his vacation and nightlife pictures. "He was part of the neighbourhood," said Steven Gleason, who worked as a bartender in the Church and Wellesley area in 2013 and continues to work at a nightclub nearby. Gleason also remembers seeing McArthur's landscaping van driving in the area. Jocelyn Lemoine of Gatineau, who met McArthur in Toronto several times in the mid-2000s, was flabbergasted to hear the news, telling CBC that the man he knew was "jovial" and never lost his temper. "We laughed together," he said. McArthur was also active on online dating apps like manjam and silverdaddies, often using a variation on the username "silverfox." The Globe and Mail has also reported that he had a profile on fetish dating site Recon in which he asks to be contacted by "submissive men of all ages."